Keep one hand on the chair and the other at the waist. 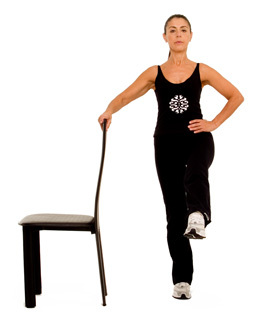 Slowly lift the leg farthest to the chair to 45 degrees. Resume the initial position. Repeat 10-20 times.